Multiple sources have confirmed to us today that following the incident that happened at the Bridgeport Speedway on Saturday, the New Jersey State Police (who sanction all of racing in New Jersey) have suspended Quakertown, PA’s Rick Laubach for a two month period and have put him on probation for the remainder of 2018. Meaning that Laubach who races for a living will have to move from his regular Saturday night home for the next two months. The incident occurred on Saturday night when during a caution period track officials were attempting to line up Laubach in the 12th position when he believed he should have been fourth the entire time. Laubach who continued to circle the oval more than once finally came to a stop on the front stretch where track owner Brian Ramey and General Manager Danny Serrano tried to further defuse the situation which resulted in Serrano hanging on to the side of the orange and blue No. 7 modified as Laubach drove down the front stretch. Serrano later would end things by reaching inside the car and taking the steering wheel from Laubach in an attempt to get the show back rolling again. Laubach’s car would eventually be towed away and racing continued on with Sam Martz taking the checkered flag. Laubach entered Saturday’s program 6th in points at Bridgeport and has two Top-5 and 10 Top-10’s in 14 starts in 2018. Time will tell where “The Quaker Shaker” will be at on Saturday’s for the next 60 days but I can assure you that it wont be at the Bridgeport or New Egypt Speedway’s. I would look for Laubach to head north to the newly re-clayed Orange County Fair Speedway or Grandview Speedway which is just a short distance from Laubach’s shop. 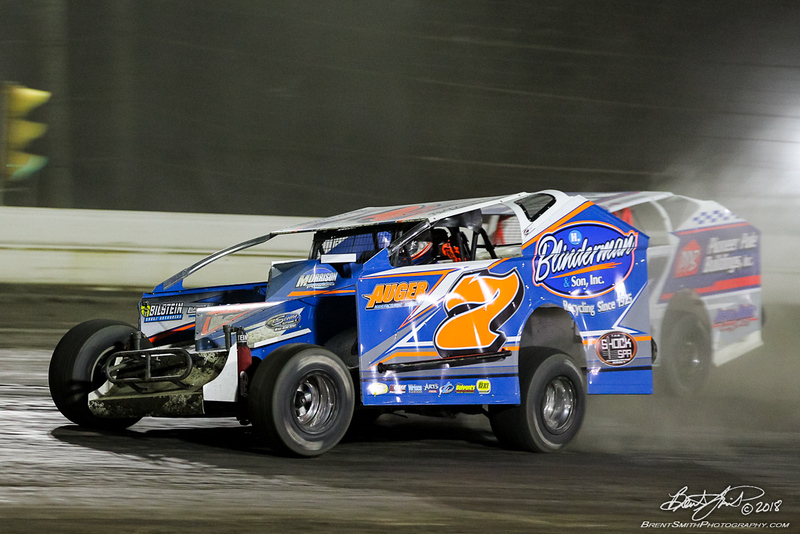 Rick is coming off of a 2nd at Orange County during the Short Track Super Series Hard Clay Open just a few weeks back. Phone calls to both Laubach and Danny Serrano were not answered nor returned at this time.